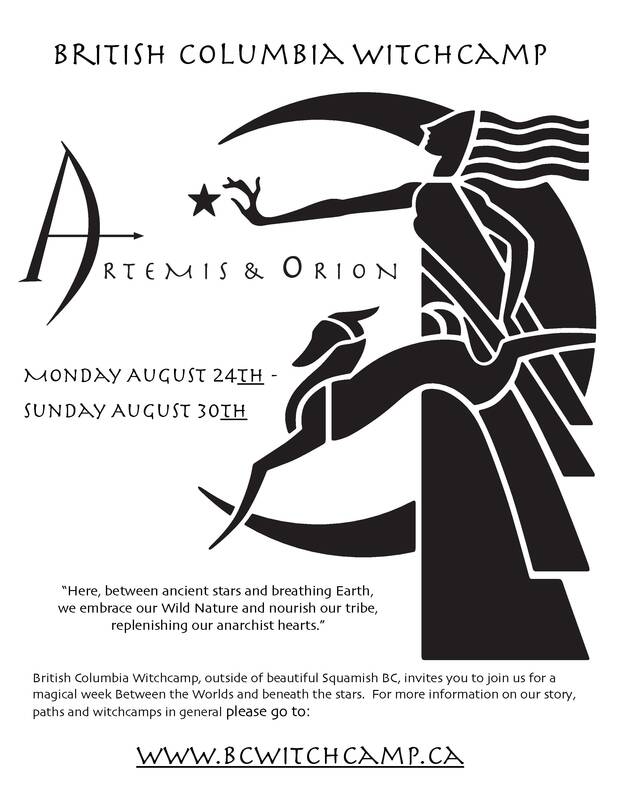 British Columbia Witch Camp (BCWC) is a community of like-minded people who come together each year for one week to celebrate, learn, teach, and be together as community. We celebrate the earth as sacred. We honour the wild and work together to unify spirit and politics. BCWC is one of many camps following the Reclaiming Tradition of Witchcraft. BCWC is celebrating its 28th camp this year at Evans Lake, British Columbia. Camp dates are Monday August 24th to Sunday August 30th.